thissideofgaudy : Very rarely do I read a book straight through. Usually, I have two to six going at once. Not this time. I read the entire book in two days.Although I was born roughly in the middle of this narrative, the world described had mercifully disappeared by the time I became aware of the world around me. From the very beginning, I was astounded by the stupidity and pointlessness of many of the "taboos" believed in by the employers. These taboos not only covered the "help", but also constrained the women themselves in virtually all aspects of their lives. A person's qualifications and achievements seemed to be secondary to where they came from or what social group they were part of. I came away with a sense of both how far we have come and how some prejudices are still hiding even inside those of us who feel enlightened. ccqdesigns (Opelika): Wow, what a book. I am from the south, and I was 10 years old in 1963. I remember the Sears where my mother worked having a Colored and White Bathroom and a Colored and White water fountain. I remember the outside door at the theater that said colored and led to the balcony and our delight when they finally opened it up to everyone and us teenagers could sneak up there.I was not one of the kids that had a full time maid or nanny that raised them, but I had friends that did. What thi ...more Wow, what a book. I am from the south, and I was 10 years old in 1963. I remember the Sears where my mother worked having a Colored and White Bathroom and a Colored and White water fountain. I remember the outside door at the theater that said colored and led to the balcony and our delight when they finally opened it up to everyone and us teenagers could sneak up there.I was not one of the kids that had a full time maid or nanny that raised them, but I had friends that did. What this book did for me is fill in the gaps that I never knew. I saw what was going on, I heard it, but I never really understood it, and my parents were more like Skeeter, people were just people. Yes, we had a housekeeper that came once a week because my mother had to work full time. She cleaned our house, ate at our table, cooked our dinner that night, and we visited her family at the holidays and took them a turkey at thanksgiving and wrapped presents at Christmas.But I wonder now what else we did that I was not aware of. How did we treat her and others that was considered "normal" then? Were we guilty of the prejudice and segregation-ism that is portrayed in this book? I have to say probably because we were a product of our time. I can only say that I am no longer that product. Everyone should read this book. Everyone. It is so true, correct and real it could have been my town or any town in the south in 1963. Stampinmama : In 2010 I decided to start reading a lot more- I set my yearly goal at 30 books and I have already hit 30!! !-this is an acomplishment for me working full time--"The Help" has been my favorite book so far this year--and has me thinking of the civil rights era so I have been trying to read other books based on that subject. Putnam, 2009 First Edition, First Printing with the correct number line 1 3 5 7 9 10 8 6 4 2. This copy is SIGNED by Kathryn Stockett. A gorgeous copy that looks new and appears unread. This First issue has the ORIGINAL printed price present on the front flap. The book is in excellent condition. The binding is tight, and the pages are exceptionally clean with NO marks or bookplates in the book. Overall, a superb copy SIGNED by the author.. Signed by Author(s). 1st Edition. Hardcover. As New/As New. Putnam, 2009 Four books together -- a first edition first printing of the original book, the 2009 Edition by Putnam, plus the first edition of the screenplay, published for Oscar consideration, plus a small booklet published by the movie producer for Oscar consideration, and finally a first deluxe edition, first printing, of the novel, signed by the author on the title page, and with a wrap-around band promoting the movie. Only the deluxe edition is signed, not the first trade edition or the movie books. All are in fine condition.. Signed by Author(s). 1st Edition. Hardcover. Fine/Fine. E Rutherford, New Jersey, U.S.A.: Putnam Pub Group, 2009 First edition of Kathryn Stockett's "The Help." Published by Amy Einhorn Books (Putnam's Sons) in 2009. Numberline printed on copyright page 1 3 5 7 9 1 0 8 6 4 2. Book near fine as well as dj. Dj shows a water stain at top of inside dj as per photo. Flap price $24.95.. 1st Edition. Hardcover. Near Fine/Near Fine. G. P. Putnam's Sons, 2009 First edition, with number line 1 3 5 7 9 10 8 6 4 2 on copyright page. SIGNED by the author on the title page and also INSCRIBED by the author on a laid-in paper slip(request for autograph on backside of slip from a previous owner). Book near fine with corners very slightly rubbed and bent, spine ends bent and spine slightly bent in. Dust jacket has some minor wear at corners and spine ends. 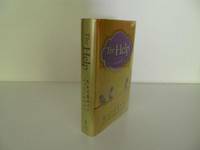 Flap price $24.95.. Inscribed by Author(s). 1st Edition. Hardcover. Near Fine/Very Good. NEW YORK NY: G. P. PUTNAM'S SONS. FINE IN NEAR FINE DUST JACKET. PUB 2009. FIRST EDITION. HARDCOVER. FIRST PRINTING WITH FULL NUMBER LINE "1 3 5 7 9 10 8 6 4 2" / AUTHOR'S FIRST NOVEL . PUBLISHER'S ORIGINAL QUARTER BOUND WHITE PAPER COVERED BOARDS WITH MUSTARD COLORED PAPER SPINE. BOOK IS FINE WITHOUT ANY MARKS TO THE BINDING OR THE TEXT. D.J. IS FINE WITH SLIGHT CRIMP AT TOP OF SPINE PANEL AND A TINY NICK AT THE TOP REAR FORE-EDGE CORNER, AND IS NOT PRICE-CLIPPED. A BEAUTIFUL CLEAN, BRIGHT, UNFADED COPY WITH NO REMAINDER MARK OF THIS CHEAPLY MADE BOOK. .
Putnam, New York, 2009. First edition signed on title page by author during appearance at Square Books on Feb. 16, 2009. Fine in fine dj. Putnam/Amy Einhorn Books, 2009. Trade Paperback . LikeNew. Uncorrected Proof/ARC. Fine copy, clean edges, probably unread. Artwork matches eventual hardcover release. This is wraps with flaps. Collectible edition of what has become not only a bestseller, but--more importantly--a critically acclaimed book. New York: G.P. Putnam's Sons. Hardcover. 0399155341 an amazing book. prior owner's initials on front free fly. . Fine. 2009. First Edition. 2010-05-12. New. Ships with Tracking Number! INTERNATIONAL WORLDWIDE Shipping available. Buy with confidence, excellent customer service! New York: Amy Einhorn Books/Putnam, 2009. First edition. Hardcover. Very Good +/very good +. First printing with complete number line. First state dustjacket without the blurb stating 'National Bestseller' or 'New York Times Bestseller' on the front dustjacket panel, price of $24.95 on front flap. Slight edgewear to dustjacket, bottom tip of book slightly bumped, else a clean, unmarked copy. 2014-03-04. Good. Ships with Tracking Number! INTERNATIONAL WORLDWIDE Shipping available. May not contain Access Codes or Supplements. May be ex-library. Shipping & Handling by region. Buy with confidence, excellent customer service! 2014-07-24. Good. Ships with Tracking Number! INTERNATIONAL WORLDWIDE Shipping available. May not contain Access Codes or Supplements. May be ex-library. Shipping & Handling by region. Buy with confidence, excellent customer service! Putnam, 2009. Book. Fine. Hardcover. 1st Edition. 8vo - over 7¾ - 9¾" tall. Fine Copy In Like Jacket.First Edition/First Printing.First Issue Jacket(@4.95).Beautiful Fresh Copy.Great Movie..
E Rutherford, New Jersey, U.S.A.: Putnam Pub Group, 2009 Two book set with the first edition novel together with the oscar promotional screenplay. Very good in a very good dust jacket. First edition as indicated by the full number line on the copyright page 1 3 5 7 9 10 8 6 4 2. Screenplay is fine in wrappers.. 1st Edition. Hardcover. Very Good/Very Good. New York: Putnam Pub Group, 2009. Book. N-Fine. Hardcover. 1st Edition. A square solid tight copy. This copy has just a hint of soil to the edges of the text block, else fine. The priced jacket has some light rubbing wear, light edgewear, a light short scratch to the rear panel. A rare first printing of the runaway best seller and the basis for the Academy Award winning film..